LOS ANGELES, March 9 (Reuters) - Starbucks Corp's vow to hire thousands of refugees after President Donald Trump's first executive order that temporarily banned travel from seven mostly-Muslim nations appears to be hurting customer sentiment of the coffee chain. 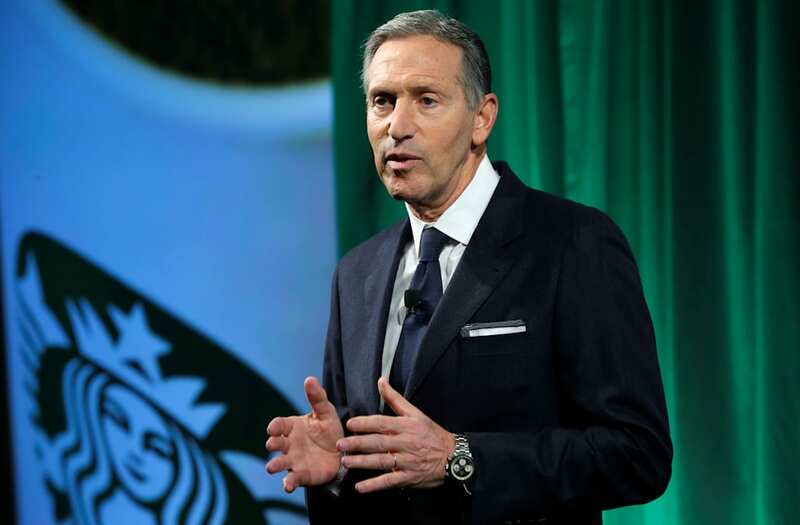 Trump supporters have used Twitter, Facebook and other social media sites to call for a boycott since Jan. 29, when Starbucks Chief Executive Howard Schultz vowed to hire 10,000 refugees over five years in the countries where it does business. Schultz in a letter to employees said the promise of the American Dream was "being called into question" and that "the civility and human rights we have all taken for granted for so long are under attack." 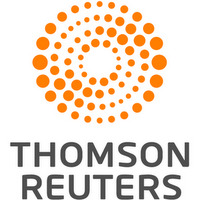 YouGov BrandIndex, which tracks consumers' sentiment toward companies and their willingness to purchase from those brands, noted that the data around this boycott is different because both measures are declining. Starbucks' consumer perception levels took an immediate hit as measured by YouGov BrandIndex's Buzz score, falling by two-thirds between Jan. 29 and Feb. 13, and have not recovered. Starbucks Buzz score fell to 4 from 12 during that time. Such scores can range from 100 to -100 and are compiled by subtracting negative feedback from positive. A zero score means equal positive and negative feedback. Prior to Schultz's refugee comments, 30 percent of consumers said they would consider buying from Starbucks the next time they made a coffee purchase, that fell to a low of 24 percent and now stands at 26 percent, according to a YouGov spokesman. "Consumer perception dropped almost immediately," said YouGov BrandIndex CEO Ted Marzilli, who added that the statistically significant drop in purchase consideration data showed that consumers became less keen to buy from Starbucks. "That would indicate the announcement has had a negative impact on Starbucks, and might indicate a negative impact on sales in the near term," he said. Marzilli noted that the Starbucks holiday "red cup" controversy from November 2015 corresponded with an even larger drop in perception, but no real impact on purchase consideration scores. Among other things, boycott supporters are urging like-minded friends to support Starbucks rival Dunkin' Donuts . Representatives from Starbucks and Dunkin' Donuts declined to comment on the surveys and the boycott's impact on sales. The consumer sentiment data comes at a sensitive time for Starbucks, which reported an accelerated decline in traffic to established U.S. restaurants during the latest quarter. If you need another pick-me-up even after you've just finished a coffee, you can get another at Starbucks and avoid paying full price. Whether you ordered a standard coffee of the day or an espresso drink, you can get a second cup of coffee for just 50 cents by hanging on to your original cup — no receipt needed. According to Kendal Perez, a savings expert for Coupon Sherpa, you can also receive 10 cents off your original coffee order by bringing your own mug or tumbler. "You have to be in the store (not the drive through) and cannot leave and then come back to receive this perk," said Perez. "Starbucks Rewards members (green and gold levels) receive free refills on brewed coffee and tea purchases, too." If you frequent Starbucks, sign up for its rewards program to score free drinks, food and other Starbucks merchandise, said Perez. Start by downloading the Starbucks app and preloading it with cash, or pick up a gift card. You can then pay with your app to earn stars with every purchase. Rewards members start at "green" level status, which earns them free in-store refills, plus member events and offers. Load $10 or more in the Starbucks app using Visa Checkout, and you'll get a $10 eGift. Joining Starbucks' email list can be a useful, money-saving deal in more than one way. First, when you sign up for the email, you get 10 percent off your next order. Second, you can utilize the email list to stack rewards, said savings expert Teri Gault. “Sign up for emails," she said. "When they have a challenge or Dash, enter it for more star rewards." Starbucks promotes seasonal offers such as Pumpkin Spice Lattes, Sweet/Treat Receipts and buy-one-get-one holiday drinks, said Perez. "Between April 5 and April 11 of this year, for example, Starbucks offered any bakery item for $1 to customers who purchased something prior to 2 p.m. and returned after 2 p.m. with their receipt. During the last weekend in May, they offered 'buy three, get one free' drinks after 2 p.m. And they typically offer BOGO free on holiday drinks between 2 p.m. and 5 p.m. for three days in mid-November," she said. It might seem trivial, but you can save money by skipping the flavor at the counter and opting for the free flavor add-ons thatStarbucks offers, said Kerry Sherin of Offers.com. There, you can score flavors like cinnamon, chocolate and vanilla. “Starbucks offers free half-and-half, cream, sugar and several spices, making it easy to spice up an inexpensive brewed coffee into a cinnamon-cream coffee for free,” said Perez. Like other stores and restaurants, Starbucks will celebrate your birthday with a freebie. “Any drink of any size is free toStarbucks Rewards (green and gold level) members,” said Perez. A good way to save at Starbucks is to go big — then split. When visiting Starbucks with a friend, order a venti — the 20-ounce large size — and split it between both of you. Ask the barista for two small cups; with the two cups, split the large drink between the both of you and then modify your coffee as you see fit. You can do this with any drink Starbucks has, so if you’re trying to save a few bucks with someone, this is a great way to do it, said Kyle James of Rather-Be-Shopping.com. "In the end, you’ll pay about $5 for the venti Frappuccino instead of $8 to $9 for two talls," he said. James said ordering an Americano is one of the best ways to get your caffeine fix on the cheap. Starbucks has a little known policy in which you can sample anything at Starbucks if you just ask, said Gault. "They'll probably tell you to go ahead and take a seat, and they will bring it to you first, as they will make a tray of tasters for everyone in the store when they cut into that muffin. So, if you just want a coffee but want a little bite, it's free," she said. "You can also ask to sample new Chile Mocha, or any other coffee drink. They have to make a whole one, so they'll do the same," Gault added. You don’t need to go into a brick-and-mortar Starbucks to score deals. The online Starbucks store is offering free shipping on any order of $75 or more, said Brenton Shelton of FatWallet. Also online, Starbucks is offering 5 percent off any order for existing customers when you use coupon code 5OFFSEPT16.